We have talked about the symptoms of road rage on our previous blog; 7 Symptoms Of Road Rage. But have you ever wondered what causes road rage? Check out our list! The sometimes unavoidable heavy traffic. As much as possible we would like to avoid heavy traffic. We would go and find an alternate route or even try to go on the road early, but sometimes traffic is something we just can’t avoid as much as we try to. This friend can make any driver irritated especially when you’re in a hurry. Well, won’t you? But at the end of the day, what matters is how you handle your anger and irritation. Yes. We bet you regularly meet these drivers on the road. And we know that you would rather not meet them especially those slowpokes on a fast lane. They could really get on your nerves when you’re in a hurry. 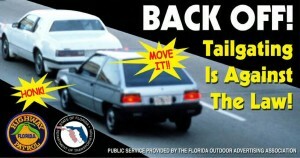 As everyone knows, tailgating happens when a vehicle follows another vehicle with a very short distance that may possibly lead to a collision. This kind of driving behavior can easily aggravate anyone and ruin a person;s day. We all like to keep our ourselves and our vehicles safe and when other vehicles threaten their safety, it’s understandable to go nuts. We all want to have a stress-free and hassle-free drive every day, but there are situations that we can’t stay away from. For example: road constructions that could last for days and can lead to heavy traffic. Detours can be quite a bother, too, especially when we’re so used to driving the same route every day. Thank heavens for GPS. 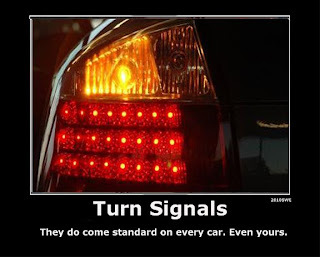 There will always be that driver who will fail to use their signal light when changing lanes or when turning. There is no good enough reason that can justify this action because it can lead to accidents. Nobody wants the risk of accidents happening, particularly when you have loved ones in the car. Feeling stressed out or emotional? Best hand the wheel to somebody else and choose not to drive yourself. Why? Well, simply because you will be too distracted to focus on your driving. You could also get easily annoyed and throw a fit towards other drivers even though they are not doing anything wrong towards you. If you want to avoid road rage, you have to nip it in the early stages–and life would be easier and driving safer.